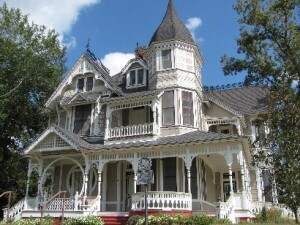 Crcokett, Texas- The historical Downes-Aldrich house in Crockett, circa 1891-1893, is considered to be one of the most beautiful homes in Houston County. The Eastlake Victorian style house was home to some of the first settlers in Crockett, who reportedly may not have fully vacated the premises. The majestic house is rich with history, and according to area residents the house is also rich with a persistent presence. No one knows for sure to whom the spirit belongs, but it is believed to most likely be a former inhabitant of the house. Two of Crockett’s earliest families enjoyed living in the wooden mansion during the late 1800’s and early to mid 1900’s. James Elbert Downes and his wife Lizzie Downes were the builders and first owners of the house. Armistead Albert Aldrich and his wife Willie Aldrich later owned the house, where they spent their 50th wedding anniversary. The last family member known to have lived in the house was Mary Aldrich. The house is full of antiques owned by former owners, as well as pieces donated by area residents in memory of their loved ones. Some believe that by bringing in the treasured belongings of others to a facility, the spirits of those who treasured the item can accompany the item to its new home. Over the years, since the house became a historical homestead, those who have worked in the house or been involved in the preservation of the house have reported unexplainable incidents. According to some volunteers, one woman who tended to the house resigned from her position due to strange events that she claimed took place in the house while she was there. Accounts of paranormal activity have been passed down through the years, many of which involve a doll in the attic. 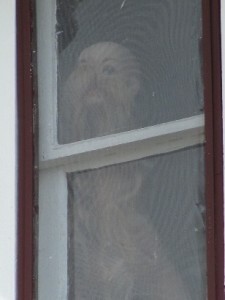 The doll can usually be seen in the attic window, however the window in which it appears tends to change, however no one takes credit for moving it. Volunteers who have been involved with the house have reported a mysterious doll, that allegedly has a mind of its own, even though it tends to lose its head from time to time. Some claim that the doll’s head has been seen separate from its body, and at other times some claim the head was missing entirely, and nowhere to be found. The doll is said to move about in the attic. One day the doll might be near the window, as if it is gazing out across the lawn, and on another day the doll might be face-first in a corner of the room. No one has ever been seen moving the doll, and no one has taken the credit for a prank well played. The house is said to possess a presence that can be undeniably felt, especially if alone. While some have been frightened by their experiences in the house, others believe the spirit is playful, and thankful that the house has been preserved in the absence of the families that loved the home. Celebrate Cinco De Mayo with Fresh Produce! 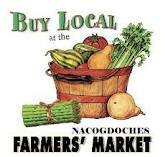 NACOGDOCHES– Be sure to stock up on fresh produce for your Cinco De Mayo celebration!